The way to go for the solo or self-employed worker. ICAA's Individual Membership is the fast track for professionals in the 50+ sector who want to expand their professional credentials and do the best possible job of serving their clients. 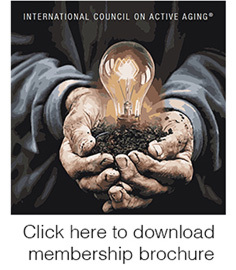 As an Individual Member, you can tap into most ICAA resources including our ICAA Journal on Active Aging® as well as FaceBook and LinkedIn sites, Research Reviews and Power Point presentations knowing you'll be at the leading edge of your non-member colleagues and competitors. 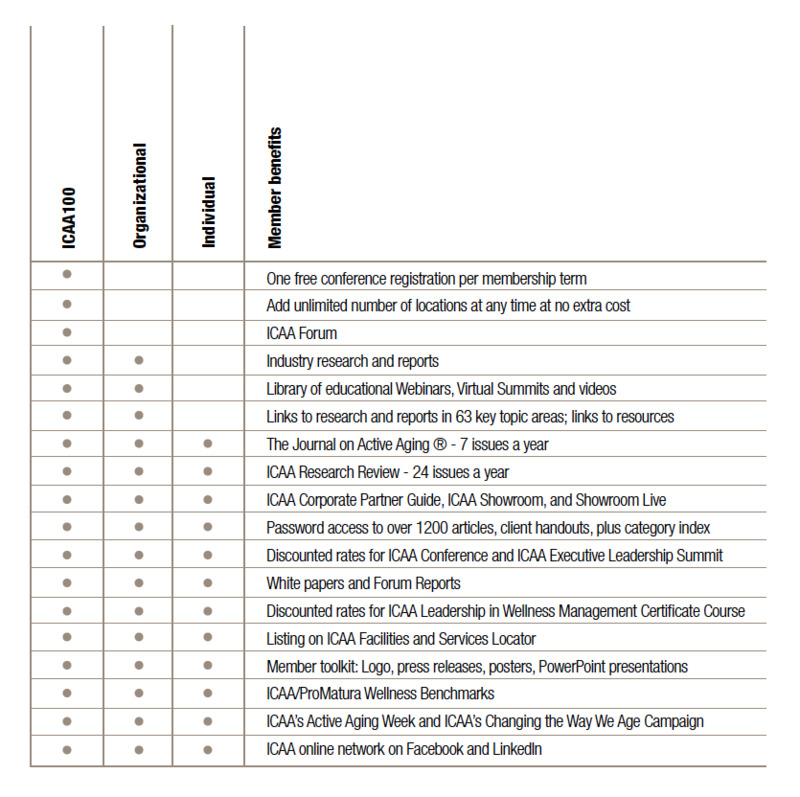 For a modest investment, you also get most member benefits including discounts on ICAA Conference admissions. Keep informed, stay in touch, advance. It starts with a membership in ICAA. Who it's for:	Individual employees or self-employed individuals. The cost: $225 a year.